The Exhibitionist Great Pudding Party – the alternative black tie event of the year, where guests are invited to dress to express their individuality. The Exhibitionist Ball takes a new direction for 2018. This year we’re having a party with a twist; there’ll be less sitting and more partying! 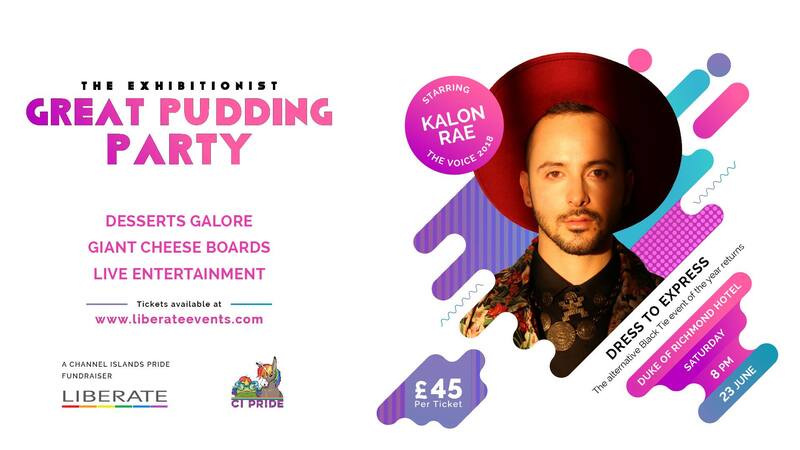 So get your dancing shoes on for an evening of entertainment from The Voice 2018’s fabulous Kalon Rae and our fantastic Pride DJ Phuture Dollz. You’ll be served a giant cheese board along with delicious mini puddings galore (so you get to try the sweetest treats the Duke has to offer!). Tickets are £45 each and include puddings, cheese, drinks reception and all of the entertainment. 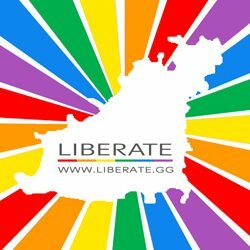 There will be plenty of opportunity to raise funds for Channel Islands Pride 2018 on the night, with the return of our popular scratch cards, with loads of prizes to be won, as well as a unique opportunity to donate to see your identity flag flown on Pride day from the most fabulous spot imaginable in Guernsey…..more to be revealed on the night! So join us for what promises to be another amazing exhibitionist event. Please note – If you feel you might want to have a larger meal, please contact Hilario at the Duke of Richmond and ask to book in for a course or two before the party starts in the Leopard Bar.